Xin Gu is lecturer in the School of Media, Film and Journalism at Monash University. She is also member of the Monash Focus Program – Culture, Media and Economy (CME), member of the Research Unit in Public Cultures (RUPC) at the University of Melbourne and coordinator of The Asian Cultural and Media Studies (ACMS) Research group under Monash Asia Institute. She is teaching the Master of Cultural and Creative Industries (MCCIs) and the Master of Communication and Media Studies (MCMS). 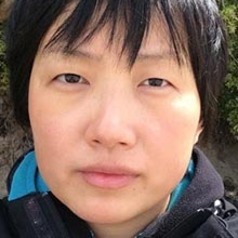 Xin’s research has been in the field of cultural industries and related policy, creative work, urban networking and clustering, and more recently digital media and hacker/maker cultures. Her research has involved primarily ethnographic research, amongst policy organisations, creative entrepreneurs, artists, workspace managers and local communities in post-industrial cities in UK, Australia and China. She has pioneered on-line social media mapping tools, linked to basic GIS, to plot cultural events against urban spaces which has seen her working in collaboration with companies such as ARUP in projects of designing creative spaces. Xin has worked with diverse institutional and industry partners developing and conducting national competitive grants in Australia and overseas. These include the ARC Linkage grant Designing Creative Clusters in Australia and China (Queensland University of Technology), ARC Linkage grant Large Urban Screens (University of Melbourne), ARC Discovery grant Working the fields, exploring cultural workers in Melbourne and Shanghai (Monash University). A comparative study of urban cultural policies. Convergence media: The change from old media platforms to new media platforms presenting new challenges to media organisations. The political economy of media: exploring the relationship between the state, media industry and proliferating/ fragmenting audiences. Cultural economy. The evolution from cultural industry, cultural industries to creative industries, along with debates around ‘creative entrepreneurship’, urban cultural policy and innovation. Xin supervises PhD students in the broad disciplinary areas of digital media, cultural industries and cultural policies with a focus on contemporary media economies and their implications for political, social and cultural change.